Metro Codes rules a $1.5 million concrete plant built by Smyrna Ready Mix should not have been built at its current location and is not in compliance with zoning law. 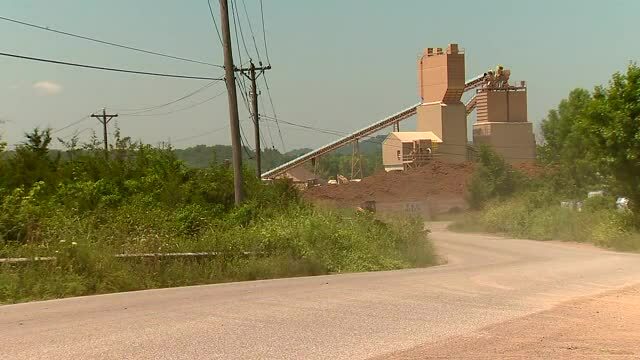 NASHVILLE, Tenn. (WTVF) — A letter from the Zoning Administrator for Metro Codes states that Smyrna Ready Mix was not allowed to build a $1.5 million concrete batching plant on Amy Lynn Drive beside the Cumberland River. The company built the plant a year ago despite opposition from neighbors. Smyrna Ready Mix tried to convince neighbors for 18 months to support a zoning change for the property, but in 20016 the Metro Council did not approve a change because of opposition from the community. The company said it had the right to build the plant anyway after claiming the previous owner operated a concrete plant at the address years ago. 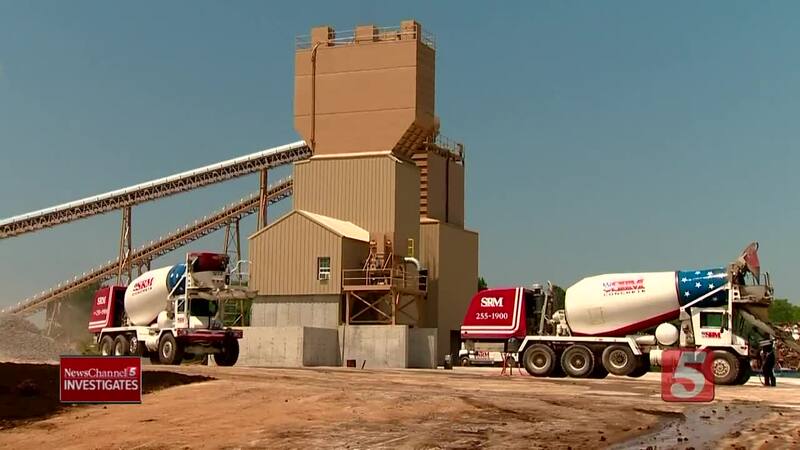 The company's attorney, Tom White, told NewsChannel 5 Investigates in July the right to build a new concrete plant was "grandfathered in" when Smyrna Ready Mix bought the property. But in a letter released last week, Metro Codes ruled the "Concrete Plant is not allowed" because the Metro Council never approved a zoning change. The company is now appealing. "If it's an illegal structure, if it's something that should not have been built, then why in the world can they continue to operate pending any sort of administrative appeal?" asked attorney Nick Leonardo who represents neighbors opposed to the plant. Joe Ingle lives on a farm a few miles from the plant. He told NewsChannel 5 Investigates this summer he was shocked when he got pictures showing Smyrna Ready Mix built the plant without the community knowing. He thought the plant was dead when the Metro Council killed the company's request for a zoning change back in 2016. "They got a resounding 'no' from the community, from our council people and they still went and built this plant anyway," Ingle said. "When wealthy corporations come in and say 'I'm going to do XYZ and I'm going to do it no matter what,' that's a bad precedent for your community," Ingle continued. The attorney for Smyrna Ready Mix, Tom White, said in July the company had the right to build on the property because when it bought the land in 2014, it knew a concrete plant operated on the property years earlier. "It runs with the land, and you can reactivate it, and that's what the grandfathering concept is all about in Tennessee," White said. "I don't really see any legitimate concern about this operation down there," White continued. In its letter it said "No evidence has been submitted" showing the property was ever zoned for a concrete plant. "Frankly if this whole thing originated in Green Hills it would not have made it this far, but you have people that are building things in a community without permission," Leonardo said. Now residents are upset Metro is allowing the plant to stay open with concrete trucks going in and out while the company appeals. "They should not be allowed to continue to operate while this appeal is working through the process," Leonardo said. The Board of Zoning Appeals is set to hear the company's appeal at its March 21 meeting.